cooling such as in a coolship where the wort is left exposed to the air and allowed to cool naturally overnight and autochthonous (native) yeast and bacteria are introduced into the wort as it cools. While spontaneous fermentation is part of the traditional brewing process for Lambic , not all spontaneously fermented beers necessarily use other processes that lambic production methods use, and Belgian lambic producers insist that the term "lambic" should only be used for beers brewed in Belgium using the various lambic brewing methods (see Lambic outside of Belgium). Spontaneously fermented beers outside of Belgium have been given names such as "spontaneous ales" , "spontaneous wild ales" , "Coolship beers" , with the term "American Coolship Ales" being the adopted term thus far in scientific literature . Spontaneous fermentation should not be confused with the various methods of culturing wild yeast and bacteria because many of the microbes that might make a flavor impact during spontaneous fermentation are killed off during the wild yeast culturing processes. Spontaneous fermentation should also not be confused with "open fermentation", which is a generic method of fermenting many styles of beer including English ales and lagers in a vessel that is not closed. A native wild-microbe fermentation may also be achieved by ambiently inoculating small amounts of wort and growing up caught microbes to check for suitability. This process has often been called a "spontaneous starter" and is common in homebrew production , however, it is arguably more accurately described as one of the few methods of bioprospecting. Bioprospecting from ambient collection allows for the screening of the microbes to remove wild cultures with aggressive off-flavors and/or mold. This is not unlike the potential of used oak barrels, where well-performing barrels may be kept and used to ferment subsequent batches (where the organisms residing in the barrel can exert their influence on the batch) while poorly performing barrels may be discarded and removed from the brewery. This process does differ from oak barrels in that native microbes are cultured and pitched into the wort, rather than the additional inoculation being a result of porous surfaces that have not been fully sanitized. As different microbes survive and thrive in different environments, barrels or pre-screened and grown starters will probably not provide a complete profile of the microbes present in traditional spontaneous fermentation beers. However, a combination of a coolship to inoculate the wort with ambient/brewhouse resident microbes combined with a form of pre-screening such as barrel re-use and/or spontaneous starters may provide the full microbiota present in traditional spontaneously fermented products. There is some debate as to whether using spontaneous starters should still be termed "spontaneous fermentation" . Each brewer will have to decide for him or herself what terms to use. We recommend transparency and clarity in descriptions and process to avoid potential confusion. In a stricter sense, beers using active inoculation with spontaneous starters might better be described with terms like 'wild beer', 'beer fermented with native microbes', or a description of the spontaneous starter process rather than entirely "spontaneous beers". Especially if the full wort volume was not ambiently cooled and the starter was allowed to grow for some time before mixing it in. An alternative term for the process itself includes something like "ambient bioprospecting". See alternative applications of spontaneous fermentation below. Beers receiving additions of isolated cultures or bottle dregs are not spontaneous and are discussed under mixed-culture fermentation and commercial sour beer inoculation. Ambient bioprospecting (or "spontaneous starters") are discussed in more detail on the Wild Yeast Isolation page. It has been suggested by some that the terminology of "spontaneous fermentation" is not precise enough for describing the process. Other phrases such as "open-air inoculation", "non-selected fermentation", "ambient inoculation", "coolship ales", and "wild ales" are phrases that some people suggest for alternative nomenclature for spontaneously fermented beer. However, the phrase "spontaneous fermentation" has been widely used by the Belgian lambic brewers to designate this process and the term has been applied in the EU's TSG law for lambic. This term has also been widely adopted by the American brewing industry to the point where many brewers and consumers alike recognize the meaning of the phrase "spontaneous fermentation" . The traditional production of spontaneously fermented beer employs a few main processes and goals including the production of a dextrinous wort, high hopping rates (usually with aged hops), and inoculation of the wort by open cooling in a coolship. Not all breweries producing spontaneously fermented beer employ these three techniques, but they are generally common among producers. starchy wort (which is turbid in appearance) is pulled from the mash and heated to denature enzymes. These pulled runnings are then replaced by infusions of hot water as the mash is carried through a series of steps for conversion of the remaining grains. The starchy wort from the early 'turbid' pulls is carried to the boil with incomplete conversion, providing dextrins to sustain Brettanomyces and lactic acid bacteria in a prolonged mixed fermentation. Other methods to carry unconverted dextrins into the boil may be employed such as the addition of flour  passing hot mash runnings through flaked grains , or pulling mash runnings before full conversion without the prolonged processing of a turbid mash . Whichever technique is employed, the goals are the same - to provide starches which Saccharomyces cerevisiae and Saccharomyces pastorianus cannot ferment and which can feed the diverse combination of other yeasts and bacteria present. Although creating a dextrinous wort is traditional for spontaneous fermentation, it is not necessarily a microbiological requirement. Traditional Lambic must use a turbid mashing process for the sake of tradition, but non-lambic spontaneous fermentations can also be successful using simpler methods such as single infusion mashes. Not having the dextrins available for the microbes during long-term aging might change the fermentation profile and produce a different type of product (for example, with fewer dextrins there might be less acidity produced from the slow acting Pediococcus, but Brettanomyces does not rely solely on dextrins to produce its flavor contributions and fewer dextrins will accomplish a faster stable final gravity). Many brewers outside of Belgium have experimented with doing spontaneous fermentation with wort that was not produced from a turbid mash (references needed). For more information on turbid mashing, see the Turbid Mashing page. Traditional Belgian lambic brewers use high hopping rates of aged hops in a long boil (~4 hours or more, which is due to the large volume of sparge water that is used during the turbid mashing process), however, American brewers making spontaneously fermented beer sometimes use a combination of aged and fresh dried hops. Historically, there is some evidence that lambic brewers used a combination of aged hops and fresh dried hops as well. The high hopping rates help to regulate bacterial activity and select for the desired bacteria (Pediococcus rather than Lactobacillus). Aging of the hops lowers the flavor/aroma impact the hops provide and also lowers the bitterness. The aged hops still do provide some bitterness as both oxidized alpha acids and oxidized beta acids can contribute to perceived bitterness and measured IBUs . Cantillon uses hops that are on average 2-3 years old at hopping rate of 250-300g/100 L (0.334-0.40 oz/gal) (~49 minutes in). See also the note about Cantillon's hopping on the Cantillon wiki page, as actual hopping rates may be slightly higher than the 250-300 g/100 L quoted here. Other producers such as Oud Beersel report using higher hopping rates . The use of significantly lower hopping rates may result in less bacterial inhibition and lead to different types of bacteria present. Some lambic producers are experimenting with the use of fresh dried dried hops in addition to or instead of aged hops   . James Howat of Black Project Spontaneous Ales uses 0.5 ounces of aged hops per gallon of beer for spontaneously fermented beers brewed using traditional lambic techniques . For hopping techniques/rates/timing, see Hops in Lambic. A coolship is an open vessel used to cool wort by exposure to ambient air which traditional spontaneous fermentation brewers use to both cool their wort and to inoculate the wort with ambient microbes during the open overnight cooling (8-16 hours; extended cooling times of more than a day might lead to mold growth ). Traditionally, a coolship is a broad, open-top, flat vessel in which wort cools overnight. The high surface to volume ratio allows for more efficient cooling, which is important at commercial production scales. In addition, this broad, shallow design maximizes the area of wort available for inoculation with ambient microbes. On a homebrew scale, where typical batch sizes cool more quickly, a wide shallow pan is not necessary to achieve appropriate cooling overnight given sufficiently low nighttime outdoor temperatures and the use of a wide shallow pan might result in cooling at a much more rapid rate than seen in traditional commercial production. Boil kettles and similarly shaped vessels are sufficient for overnight cooling for most homebrew batch sizes and may provide a rate of cooling more similar to that provided by coolships in commercial production sized batches . Cantillon targets a cooled wort temp of 18-20 C (64.4-68 F) after the overnight cooling  (~50 min in). Traditional producers only carry out spontaneous fermentation between fall and spring when nighttime temperatures have a low of -3.9 to 8°C (25-46°F) to appropriately cool the wort overnight (~39 minutes in, ~54 minutes in). The ambient microbial balance may also be more favorable during this time of year (--some sources say there are more acetic acid bacteria in summer--), but inadequate cooling could result in similar results of enhanced acid production (similar to the effect of warm incubation in Wort Souring, see also Alternative applications of Spontaneous Fermentation below). Whatever the root of the different resulting beers based on time of season/ambient nighttime temperature, producers do report different times of year/temperatures exerting a strong influence on the final beer, for example Rob Tod from Allagash Brewing reported solventy and ethyl acetate issues in beers after they were cooled over night at warmer temperatures and aged for 2 years (~39 minutes in, ~54 minutes in). Some industrial producers of Belgian lambic as well as smaller North American brewers employing spontaneous fermentation acidify their wort before primary fermentation. This may eliminate the enteric bacteria step  (see below, Microbial Succession During Fermentation). In addition it may act as a safeguard against Clostridium botulinum (the bacterium responsible for botulism poisoning, which is a serious concern in the food industry because of its high level of toxicity; see this Mayo Clinic article). Clostridium botulinum can grow at the typical pH range of unfermented and unacidified wort and its spores can survive the boiling process . The degree of botulism risk is not known, though if any reported cases of botulism poisoning from beer exist they are not known to us. Traditional lambic producers have been fermenting unacidified and spontaneously inoculated wort for decades to centuries, which suggests that the risk, if it does exist at all, is very small when following traditional lambic production methods. Furthermore, hops have antimicrobial properties against gram positive bacteria  and Clostridium botulinum is gram positive . The degree to which Clostridium botulinum might be resistant to the antimicrobial properties of hops is unknown. Some suggest eliminating any potential worry of botulism by acidifying your wort before inoculation . Whether or not this protects from botulism, it will influence the final beer by preventing enteric bacteria growth. In addition, acidifying may influence the activity of Pediococcus in a spontaneously fermented beer, including the development of "sick" beer, and may therefore alter the final beer (acidic conditions can trigger exopolysaccharide production in some strains of lactic acid bacteria; see Pediodoccus)  (~1:10 in). The presence of more than 2-5 ppm of dissolved oxygen (DO) in the wort might also reduce the risk of botulism (more references needed), however, the levels of DO in wort that has been cooled in a coolship has not been well studied, and neither has the amount of DO during the first few days of fermentation. Dissolved oxygen in wort that is near boiling temperatures will be limited due to Hentry's law, but some amount of atmospheric oxygen will be absorbed as the wort cools over night . Some reports of DO in wort cooled in a coolship MTF include ~4 ppm in a small coolship that was 2' x 1' x 1', and 3.6 - 3.8 ppm in wort cooled overnight in an open 10 gallon boil kettle . The DO levels from a commercial sized coolship (10 BBL; 6' x 10') were reportedly 2.6 ppm after the transfer to the coolship while the wort was still hot, and 5.1 ppm after the wort cooled for 14 hours . The disolved oxygen levels could increase during the filling of the barrels, although there is no data on this that we know of currently. The dissolved oxygen in the wort, however, could be quickly consumed by aerobic bacteria and yeast. Additionally, some strains of C. botulinum are more oxygen tolerant than others. Therefore, DO levels should not be relied upon for preventing botulism. Instead, a timely (within 4 days has been a suggestion, however no one really knows how long it takes C. botulism to grow in anaerobic wort and produce enough botulism toxin ) reduction in pH below 4.6, and an increase in alcohol (decrease in gravity), are more effective measures for making sure that botulism is not a concern . MTF thread on chilling overnight during warmer than normal temperatures. "Storing Wort Runs the Risk of Botulism", by Dr. Colby, Chris. long time period (1-3+ years) in wooden vessels. The long fermentation process allows the different microbes present to carry out their slow metabolism of the complex carbohydrates present in the beer, developing the flavors and acidity associated with spontaneous beers (see turbid mashing for more)  . Extended aging in the same vessel as fermentation does not present the same sort of autolysis problems that may be found in 'clean' beers aged for long periods of time on the yeast cake. There are some ideas for why this is the case, such as the extended activity of other microbes taking up autolysis products. It is also possible that the influence of autolysis is found, but that they are expressed differently in these sorts of beers and some say that the autolysis character is an important component of the beers  (~28 minutes in). The wooden fermentation vessels are frequently oak wine barrels in the 220-400 L (58-105 gal) range but other woods such as chestnut are used and the vessels may also be large tuns or foudres holding upwards of 45 HL (about 1200 gal, or about 34 bbl). These barrels provide two primary benefits for the fermentation - they allow a small amount of oxygen permeability and they can provide an environment which houses some of the microbes active in the fermentation (although there is some debate around this, see Sources for Microbes below). Notably, Brettanomyces could survive some cleaning regimes by penetrating into the wood and in some cases possibly metabolize compounds present in the wood such as cellobiose, which is produced from toasting of the wood (~3:22 in). While a controlled micro-oxidation can be beneficial to the beer, too much oxygen exposure can lead to excessive acetic acid and/or ethyl acetate production (either from Brettanomyces or Acetobacter) . In addition the barrels may provide flavor and structure from tannins and, in some cases, what they previously held. On a homebrew scale a fair amount of attention has been paid to the topic of oxygen permeability in different fermentation vessels and closures   . It has been suggested that sealing a glass carboy with a wooden dowel or chair leg can result in similar oxygen permeability as a wine barrel. Although this was quite a clever idea for replicating oxygen exposure, this is not recommended as it can lead to breakage of the glass carboys . While micro-oxygenation may be an important part of some spontaneous production it may be getting too much attention in homebrew carboy conditions  (see comments) relative to other controls such as temperature, microbes, and time. See the Barrel page for discussions on the barrels available to homebrewers. Since spontaneous fermentations can take several days to begin (generally 4-7 days, although we have seen reports of up to two weeks), some professional brewers and a microbiologist have recommended that carboys should be filled as close to the neck as possible to limit the initial headspace and oxygen in that headspace so as to avoid mold growth (lowering the wort pH to under 4.5 will also help prevent mold growth during the early stages of fermentation) . Regarding fermentation temperature, commercial producers looking for balanced acidity and flavor/aroma complexity prefer cooler fermentation temperatures in the range of the high 50s to low 60s F (~13-18 C)  (~1:14 in). Temperature control is very important to some Lambic producers. 3 Fonteinen had temperature controlled cellars, highlighting the importance of aging temperature. Unfortunately the temperature control thermostat failed and resulted in the brewery nearly going out of business . This temperature range allows slow and balanced fermentation by the diverse array of microbes present. Warming the fermentation too much results in enhanced production of acidity which is out of line with what the lambic producer is aiming for. This can be used to the advantage of the brewer when producing certain non-lambic inspired spontaneously fermented beers (see below, Alternative applications of spontaneous fermentation). American brewers who use coolships for spontaneous fermentation have reported that the success rate for spontaneously fermented beer is around 90-80%. Brewers will often dump undrinkable beers from individual barrels or even beers from barrels that don't meet the expectations of the brewers . Blending is a fundamental part of traditional spontaneous beer production (and typically of wood aged sour beer production in general). In barrel aged mixed fermentation beer, and especially spontaneously fermented beer, there is a high potential for variability in different barrels/fermentation vessels, even those resulting from the same hot side process. To help create a more balanced and complex product, producers of sour beers often blend barrels (of both the same and of different vintages) together into one final product. The homebrewer can employ the same techniques and blend to reach the desired final product from beers of different vintages and different carboys/vessels of the same brew. See the blending page for more information on this topic. Frequently a non-trivial amount of beer is dumped at spontaneous beer breweries  (~8.5 min in). The exact amount depends on the conditions of the brewery and the willingness of the brewer to try to blend in batches that might not taste as good and/or have mild off flavors at the expense of the overall quality of the blend, but commercial brewers have reported dumping levels of 5% (and possibly up to 15%) of total production  (~13 minutes in). This may be due to an imbalance in the microbes  (~14 minutes in) or a bad barrel resulting in off woody flavor  (~1:31 in) or excessive O2 exposure. In addition to the beer inside such barrels being dumped, the barrel itself is also often discarded  (~14 minutes in). Homebrewers who are fermenting spontaneously may expect that from time to time they will need to dump a batch. The number of different species found in lambic and spontaneously fermented beers is very large and diverse from brewery to brewery and batch to batch, however, scientific research in Belgium and the US has shown a regular general pattern to the microbial succession of spontaneous fermentation beer at the genus level, with only minor genera differences between Belgian lambic beers and American spontaneous ale. This difference is attributed to different microbes being present in different breweries . The first stage, which lasts for approximately 1 month , is dominated by enterobacteria and oxidative yeasts that produce large amounts of DMS which can be smelled during the early stages of fermentation (see Dimethyl Sulfide for more details). Although spontaneous ales have a common pattern of fermentation by groups of genera of microbes, the diversity in specific species is large across different lambic producers and American spontaneous ale producers (although data for American spontaneous ale producers is limited). In American spontaneous ale producers, Klebsiella spp., Enterobacter spp., Pectobacterium carotovorum, and Serratia ureilytica have been found. In Belgian lambic producers, Enterobacter spp., such as Enterobacter aerogenes, Enterobacter cloacae, Enterobacter hormaechei and Enterobacter kobei, Klebsiella aerogenes, Klebsiella oxytoca, Klebsiella varicola, Escherichia coli, Hafnia alvei, Hafnia paralvei, and Citrobacter freundii, have been found in lambic, with E. cloacae and K. aerogenes as the most frequently found ones. Although these enterobacteria contribute little in terms of gravity drop over the first month of fermentation (they mostly consume sucrose in the wort), they do contribute aroma and flavor compounds and precursors during the initial stages of spontaneous fermentation, particularly acetoin, 2,3 butanediol, acetic acid, lactic acid, succinic acid, DMS, acetaldehyde, long-chain fatty acids (these play a role in both flavor impact and providing nutrients for yeast later in the fermentation process), and small amounts of glycerol, ethyl acetate, and higher alcohols which might form esters in the later stages of fermentation. Enterobacteria can also contribute to the production of biogenic amines in fermented foods and beverages, including spontaneously fermented beers. Enterobacteria usually disappear after 30-40 days of fermentation due to the increase in ethanol, decrease in pH, and a decrease in food availability , although one study by Curtin et al. reported finding at least small populations of enterobacteria as late as up to 4.5 months (~25 minutes in). Acidifying the wort to a pH below 4.5 before cooling and exposing to ambient microbes in a coolship can partially eliminate the enterobacteria phase of spontaneous fermentation and thus avoid or limit biogenic amine production, which is a practice for some lambic breweries . While enterobacteria and oxidative yeasts are not considered to be a part of the core microbes in spontaneous fermentation, it has been shown that Saccharomyces cerevisiae is metabolically stimulated when co-fermented with some of these species, allowing the S. cerevisiae to consume more glucose and nitrogen and to more quickly replicate . De Roos et al (2018) reported significant populations of the enterobacteria species Klebseilla variicola, Klebsiella oxytoca, and the yeast species Hanseniasspora uvarum, Saccharomyces cerevisiae during the first week or two of lambic fermentation that was pre-acidified (see Figure 3). Wort or beer fermenting during this stage should not be consumed due to the fact that some of these are pathogenic bacteria and pose potential health risks. Oxidative yeasts are also present during the first stage of fermentation, including species of Rhodotorula, Candida, Cryptococcus, Hanseniaspora, and Pichia, some of which might survive pre-acidification . Zach Taggart found that this initial stage also corresponded with a pH drop from 5.0 to 4.5 in 6 days and the aroma went from sweet-smelling wort to phenolic and a light burnt rubber character during this time in one batch of spontaneous fermentation . The second stage of spontaneous fermentation is dominated by Saccharomyces species (predominantly S. cerevisiae, S. bayanus, and S. pastorianus, the latter often being present towards the end of this phase). Hanseniasspora uvarum has also been reported in some but not all lambic fermentations playing a major role in starting the second stage of spontaneous fermentation, which is characterized by ethanol production. Most of the attenuation is accomplished during this stage with the depletion of monosaccharides, disaccharides, and trisaccharides consumed in that order (glucose/fructose is consumed first by the S. cerevisiae, and then maltose/maltotriose are gradually depleted until they are gone by the end of the second stage). Ethanol, methyl-1-butanol, and succinic acid are the main compounds produced during this stage for wort that has been pre-acidified. This stage lasts approximately 3-4 months. One study also found populations of Kazachsania yeast species and Cellulosimicrobium yeast species early on in the second stage . In addition to the bulk of the overall ethanol production, this phase also sees the production of higher alcohols and the synthesis of esters, especially isoamyl acetate, as well as glycerol, caprylic acid, and capric acid . It has been reported by some brewers that this stage might begin as early as 3-14 days and corresponds with a drop in pH below that of regular beer, indicating that the first stage for some spontaneous fermentations might be shorter and faster than reported in the other literature . MTF members (both homebrewers and professionals) have observed yeast fermentation activity typically at 3-7 days . However, these reports are anecdotal based on visual fermentation and microbe analysis was not done in many cases. De Roos et al. (2018) reported that for wort that is pre-acidified to a pH of 4.5, and after an initial drop in pH to 3.8 by enterobacterial and acetic acid bacteria, the pH rose to 4.0 during the secondary fermentation phase, indicating that the yeast consumed some of the organic acids that were produced during the initial enterobacteria phase . The Saccharomyces dominated stage of fermentation is followed by prolonged and gradual acid and flavor development accompanied by the final points of attenuation, which lasts anywhere from 2 to 10 months . In some descriptions this is split into an "acidification phase" which is dominated by lactic acid bacteria (LAB), primarily Pediococcus and sometimes Lactobacillus, and a "maturation phase" driven by Brettanomyces . Other sources describe these as one extended maturation phase with acidification from Pediococcus and Brettanomyces growth occurring simultaneously . When the wort is pre-acidified, the acidification and maturation phases overlap . Other yeasts such as Candida, Cryptococcus, and Torulopsis species have also been isolated from mature lambic, although their impact other than possibly being involved in the formation of a pellicle is unknown . As many of the flavor and aroma characteristics that we associate with spontaneously fermented beer are produced during this slow maturation/acidification phase, allowing sufficient aging time is important when producing spontaneously fermented beers . Homebrewer Caleb Buck reported data on several batches of homebrewed spontaneously fermented beer and observed a slower drop in gravity for some batches than others over about a 7 month period (see this graph for details). De Roos et al. (2018) reported a gradual increase in glucose, maltose, and maltotriose from week 7 to month 6 due to the degradation of maltooligosaccharides (higher chain sugars) . The acidification phase is also accompanied by the growth of acetic acid bacteria (AAB), which can be undesirable if this growth is excessive since it leads to greater acetic acid production (in high quantities, acetic acid smells and tastes like vinegar and is very harsh on the palate and throat) as well as acetoin. These microbes include species from the genera of Acetobacter and Gluconobacter. These microbes are dependent on oxygen in order to metabolize ethanol into acetic acid (with acetaldehyde produced as an intermediary step) and acetoin from lactic acid and are found on the surface of the wort where oxygen is available. The beer/air interface (or surface of the beer that interfaces with the air above it) is also where higher concentrations of acetic acid and acetoin are found due to the AAB being present there rather than deeper within the beer (this is similar to Flanders Red Ale). It has been shown that the species of AAB found in lambic and American spontaneous ales have adapted to high concentrations of ethanol and acetic acid . With the flavor threshold of acetic acid in beer being 90 ppm , and the levels of acetic acid in Belgian gueuze/lambic being reported in the range of 727-2240 ppm, acetic acid levels in this range is an important flavor compound in spontaneously fermented beers . De Roos et al. (2018) reported high numbers of Acetobacter pasteurianus from month 3 to month 6, with it disappearing around month 9-13 as Pediococcus damnosus took its place. They also reported finding significant levels of Acetobacter orientalis during week 2 and 3 of lambic that was pre-acidified . Curtin et al. (2018) showed that acetic acid bacteria came and went at various random points within a 0-4.5 month period of fermentation (~26 minutes in). The fourth and last phase of spontaneous fermentation, also known as the extended maturation phase, is dominated by Brettanomyces yeast, which is a genus of yeasts that are highly tolerant of low pH, high alcohol, and can survive in low-nutrient conditions, as well as lactic acid bacteria from the genera Pediococcus and to a lesser extent Lactobacillus and Pichia yeast species. This phase generally begins somewhere around month four to eight, with these microbes completely dominating at around 9-13 months (~26 minutes in). Additional attenuation occurs very slowly for another 7-18 months. De Roos et al. (2018) reported a gradual drop from 4 Plato to 0.5 °Plato during the maturation phase. . During this extended maturation phase, Brettanomyces continues to ferment the residual sugars left over in the beer using intra- and extracellular alpha-glucosidase, and produces most of the final aromatic and flavor compounds in the form of esters, phenols, and fatty acids found in finished Belgian lambic and other spontaneously fermented beers (see Brettanomyces metabolism). The most abundant species of Brettanomyces found in spontaneously fermented beer are strains of B. bruxellensis (B. lambicus is often found, but has been reclassified as a strain of B. bruxellensis). During the maturation phase, a pellicle is formed from the Brettanomyces, as well as oxidative yeasts from the genera Pichia, Candida, Cryptococcus, and Torulspsis . It is thought that the pellicle and the presence of these oxidative yeasts might reduce oxygen influx, and thus assist in inhibiting the growth of acetic acid bacteria , however, this has not been proven in a scientific manner that we know of. During the extended maturation phase, a beer may become "sick" or "ropey", though not all producers get this  (~1:10 min in)  (~1:44 in)  (~3:44 in). This is the result of exopolysaccharides, which some Pediococcus strains are known to produce. These exopolysaccharides can be broken down by other microbes present in the beer relieving the beer of its "sickness" (this exopolysaccharide breakdown is generally attributed to Brettanomyces). A beer may also become "sick" in the bottle during bottle conditioning. This is likely due to enhanced Pediococcus activity from additional fermentable sugar, in the form of simple sugars or beer which has not completely attenuated yet  (~1:47 in). A beer which is sick in the bottle will generally clear through the same process as a younger aging beer when given appropriate time. See the Pediococcus page for more information. Lambic.info "Microbiology and Biochemistry" wiki page. "Brewing Beer in America Inspired By the Belgian Lambic Tradition" by Ryan Fields, former head brewer and blender at Beachwood Blendery. Spontaneously fermented beers are usually characterized by the compounds produced by the complex and highly variable fermentation profile explained above. This generally includes the production of lactic acid by lactic acid bacteria and acetic acid by acetic acid bacteria and Brettanomyces, which lend a sour and fruity flavor to the beer. Brettanomyces is responsible for many of the volatile aroma compounds, including tetrahydropyridine (also produced by lactic acid bacteria), phenols such as 4-ethylguaiacol (smokey, spicy, clove) and 4-ethylphenol (barnyard, horsey, spicy, smokey, medicinal, Band-Aid), and esters such as ethyl acetate (pineapple in low concentrations, nail polish in high concentrations), ethyl lactate (fruity, creamy, rum-like), ethyl caproate (fruity/aniseed), ethyl caprylate (fruity with creamy mushroom and cognac notes), and phenylethyl acetate (sweet honey and rose-like). Brettanomyces can also produce volatile fatty acids such as isovaleric acid . Some strains of Brettanomyces are also known to release the enzyme beta-glucosidase to break down glycosides, which can result in the release of flavor compounds. This enzyme is also responsible for allow Brettanomyces to consume cellobiose (wood from barrels). However, Daenen et al. (2007) found that none of the B. bruxellensis strains isolated from lambic could utilize cellobiose, but strains of B. anomalus and B. custersianus isolated from lambic could utilize cellobiose, indicating that not all Brettanomyces strains (especially B. bruxellensis) can break down glycosides or use cellobiose in wood as a food source (see beta-glucosidase activity for more information). See the Brettanomyces secondary metabolites page for a complete list of flavor compounds that Brettanomyces can produce. Other intermediate flavor and aroma compounds are creating during the fermentation process. For example, De Roos et al. (2018) reported the production of acetoin from week 3 to month 6 in lambic beers, and then a gradual decline after that. This corresponded with the growth of acetic acid bacteria (AAB), and the production of acetoin was attributed to the AAB oxidizing lactic acid. 2,3-Butanediol and 2,3-butanedione (diacetyl) were not found during the entire age of the lambics studied, so the full conversion of acetoin to these compounds never occurred. The decline of acetoin during the maturation phase was attributed to Brettanomyces, which is known to occur when oxygen is limited. Malic acid was depleted as the lactic acid bacteria started to grow from month 6-9, and lactic acid increased (both D-lactic acid and L-lactic acid in nearly equal amounts at around 2.0 g/l), indicating malolactic fermentation occurred during this time. After the acidification phase and during the maturation phase where Brettanomyces and Pichia membranifaciens were dominant, small amounts of malic acid were produced, indicating that these yeasts are capable of producing small amounts of malic acid (less than 20 mg/l of malic acid was in the lambic beer at 24 months). Gluconic acid and citric acid, which were presumably introduced from the brewing process, were present at fairly stable levels during the entire fermentation process, with gluconic acid seeing a slight spike during the growth of acetic acid bacteria (~50 mg/l and ~220 mg/l in the final beers) . Biogenic amines are produced by all living things and are present in many fermented beverages. High dosages can lead to health issues such as vomiting, headache, asthma, hypotension, and cardiac palpitation. Thus, biogenic amines have been studied intensely . For more information, see "Fact or Fiction – Biogenic Amines in Beer" by Dr. Bryan Heit. Biogenic amines in spontaneously fermented beers are produced mostly by enterobacteria, but lactic acid bacteria and yeasts can also produce them. Wort that is pre-acidified greatly reduces the production of biogenic amines, but small levels can still be found. These levels are below the levels found in cheese and fermented sausage and are well below the levels that are acceptable for health (less than 400 mg/kg). De Roos et al. (2018) measured biogenic amines over the fermentation lifespan of Belgian lambic beers that were pre-acidified to a pH of 4.5 before being cooled in a coolship and spontaneously fermented. They found that the initial wort had low concentrations of some biogenic amines, such as agmatine (9 mg/l), putrescine (8 mg/l), and cadaverine (3 mg/l). In one cask, the agmatine remained stable while in the second cask the agmatine declined to zero during the maturation phase, and then slightly increased to less than 5 mg/l. Cadaverine was produced during the first three weeks of fermentation and remained steady throughout the fermentation process at about 30 mg/l. Histamine was produced during the acidification phase by Pediococcus damnosus between 3 and 9 months and ended up at around 15 mg/l. Tyramine had final concentrations of around 30-40 mg/l and was formed either during the acidification phase (6 months) or the late maturation phase (18-24 months), potentially by P. damnosus or some other LAB that was at too low of a population to detect, or maybe as a result of autolysis of dead yeast cells. 2-Phenylethylamine and tryptamine were never found in the lambic beers . Biogenic amines produced by Brettanomyces. "Spontaneous fermentation and biogenic amines" by Dr. Dave Janssen; review of several studies that looked at the levels of biogenic amines in different beers and their production, and their potential flavor contribution. "Fact or Fiction – Biogenic Amines in Beer" by Dr. Bryan Heit; an analysis of biogenic amines in spontaneously fermented beer and associated health concerns. Follow up from Dr. Heit on MTF on "allergic-like" reactions to biogenic amines. The sources of microbes that influence spontaneous fermentation are somewhat debatable, especially when referencing Lambic producers in Belgium. Although the coolship step is regarded as the main contributor to the microbial inoculation for spontaneous beers, it is often claimed that Brettanomyces living in the barrels is at least partially responsible for the secondary fermentation of spontaneous beers. De Roos et al. (2018) used amplicon sequencing technology (which is better at detected so-called "viable but not culturable" cells) to samples the interior of barrels and foeders used in one lambic brewery that uses high-pressurized hot water and sulfur dioxide to clean them, and found surviving colonies of Brettanomyces anomalus, B. bruxellensis, B. custersianus, Pediococcus, and to a lesser extent Acetobacter and Lactobacillus. The Acetobacter might be linked to older barrels that are more porous. Pichia, Debaryomyces hansenii and Candida were also found in abundance in some barrels, but not others. They also found high levels of Cellulosimicrobium and Acinetobacter, which have not been found to be important for lambic fermentation; the authors suspected that these were living in the wood rather than in the beer since they can metabolize cellulose. Although they are probably also not important to the fermentation of lambic, molds were found in the more porous barrels before cleaning, including Aspergillus and Penicillium. No molds survived the sulfuring process and the diversity of microbes was far higher in barrels than it was for foeders, perhaps because of the higher level of oxygen exposure in barrels compared to foeders, although foeders had a much higher than expected amount of surviving Saccharomyces and Pichia . Professor Chris Curtin from Oregon State University presented the results of a study by his team where 50 barrels of three different vintages of spontaneously fermented, lambic-inspired beer was sampled three times over a 9 month period. These 50 barrels represented three batches of the same recipe brewed in 2013, 2015, and 2016. With the exception of a small number of barrels, they all contained the same or similar Brettanomyces bruxellensis yeast. There was no significance between the three different batches. Two of the 2015 barrels had a different species of Brettanomyces (claussenii). Two of the 2016 barrels had more Saccharomyces cerevisiae. This study indicated that barrel to barrel variation as far as yeast goes is fairly small. Bacteria populations clustered much closer based on the vintage (but not the barrel). The 2013 batch was dominated by Gluconobacter and Acetobacter, while the 2015 batch was dominated only by Acetobacter, and the 2016 batch was dominated by Lactobacillus. This indicated that the vintage of the batch plays a major role in determining which bacteria will be the dominant bacteria during maturation, but individual barrels generally do not (although a small number of barrels matured faster than the majority of the barrels and were dominated by bacteria that represented the more mature vintage). Despite the lack of major variation between barrels, Curtin determined that some barrels can introduce microbial variation, perhaps due to insects transferring microbes or differences in the oxygen ingress between different barrels, and the ability of yeast and bacteria to live within the inner surface of the barrels and potentially survive cleaning procedures  (~29 minutes in). James Howat of Black Project Spontaneous Ales reported conducting an experiment that showed a similar fermentation profile between a barrel fermented spontaneous beer and samples taken from the coolship and aged in glass flasks . The spontaneous beers at Black Project were produced for a few years by placing a kettle on the roof outside of the brewery to collect microbes from the air and then racked directly to barrels, so there was no influence of microbes living within the brewery (Black Project now uses a coolship inside the brewery). This led James to conduct this experiment to see how much the barrels were influencing the microbiome of the beers even after they were steamed to the point of possible pasteurization. James reported that the sensory characteristics between the barrel aged beers and the flask-aged beers were very similar, other than the obvious differences that the oak would have provided, which led him to believe that air inoculation provides a significant contribution to the microbial load of spontaneously fermented beers. Additionally, Brasserie-Brouwerij Cantillon (ref needed) and Oud Beersel  (~42 minutes in) are known to steam clean their barrels which might be enough to sanitize them. Other sources for the microbes include the ceilings of the breweries which are often not cleaned in Belgian lambic breweries, and the coolship itself. Some breweries have opted to craft wooden overhangs to simulate having a relatively low ceiling above the coolship (see Coolship). As the wort cools overnight, vapor rises and condenses on the wooden ceiling or overhang above, and then drips back down into the coolship carrying any microbes that might be living on the surface of the wood. The air also carries some amount of microbes, although it is rare to find wild Brettanomyces in the air (see Brettanomyces environment). The sources for various microbes are unknown and potentially many, and probably vary from producer to producer. Additionally, no single source is likely to be required to have a successful spontaneous fermentation. It is worth noting that it appears to be possible for spontaneous fermentations to not harbor lactic acid bacteria or Brettanomyces. For example, Andy Mitchell from New Belgium Brewing had a homebrewed spontaneous fermentation analyzed by New Belgium's lab after a year of age, and they only found Saccharomyces cerevisiae var diastaticus living in the beer and no lactic acid bacteria or Brettanomyces. Andy reported that the beer was also not sour and did not have any Brettanomyces character . Much of the above discussion has focused on spontaneous fermentation as applied to lambic and lambic-inspired brewing. Some brewers are applying spontaneous fermentation to yield beers quite different from lambic-oriented brewers. A notable example of this is De Garde, whose entire lineup of beers are cooled in a coolship and don't see pitched yeast  (excepting perhaps a bit of pitched yeast in some beers for bottling conditioning). De Garde produces a range of spontaneous beers including beers similar to Berliner weisse by warm incubation after spontaneous inoculation . By manipulation of parameters such as grist, hopping levels and incubation/fermentation temperatures, a diverse range of beers of spontaneous fermentation can be produced outside of lambic-inspired beers. Jester King has put grapefruit zest in the coolship and run hot wort through ~1 lb/bbl of Sorachi Ace before the coolship (~57 minutes in). Brewers can also harvest the slurry of a spontaneous fermentation or a portion of the beer itself to inoculate future batches of beer. Although there are potentially hundreds of microbes initially in a spontaneous fermentation, after a few months there will only be a few groups which are able to survive the harsh conditions of sour beer. These include potentially Saccharomyces, Brettanomyces, lactic acid bacteria, and perhaps Pichia. Therefore, an aged slurry from spontaneous fermentation can be treated the same as re-using a mixed fermentation yeast cake. A Solera approach should also be a successful approach. It isn't clear on if using a slurry from a spontaneous fermentation to inoculate a new batch of wort/beer would constitute the new batch being called a "spontaneously fermented beer". From a process perspective, given the adopted definition of "spontaneous fermentation" as described in this wiki article, re-using slurries from a spontaneous fermentation is fundamentally a different process. Since it is a fundamentally different process, it appears to be logical that the resulting new beer would not be a "spontaneously fermented" beer. See also this discussion with James Howat on MTF as an example of how brewers are approaching this terminology. Another related process is to supplement a spontaneous fermentation which is carried out as defined by this wiki article but to also pitch a commercial lab pitch of microbes, cultured wild caught microbes or a slurry from a previous spontaneous fermentation. These options might be necessary for failed attempts for a spontaneous fermentation to successfully start fermenting with the desired week or two. Pitching lab cultures might result in a different flavor result than if the wort was fermented completely spontaneously since lab cultures will often out-compete and eventually kill many other species of microbes that would be present in wort that was cooled overnight in a coolship. As with pitching microbes from a previous spontaneous fermentation, these processes are a deviation from the 100% spontaneous fermentation process, and therefore are sometimes not referred to as "spontaneous fermentation", but perhaps "partial spontaneous fermentation" or some other term. See also this MTF debate on the effects of supplimenting spontaneous fermentation with cultured microbes. Traditional wine and cider making techniques include not adding any lab microbes, but only relying on the microbes found on the surface of the fruit. This could be considered as a subtype of spontaneous fermentation that is distinct from using a coolship to inoculate wort but is still reliant on the native microflora of the fruit. Rather than a subtype of spontaneous fermentation, this method has also been considered to be more appropriately referred to as "wild inoculation" or "non-selected yeast fermentation" . It is believed by some cider makers that the source for native microbes in their fermentations often comes from the equipment being used to process the cider apples rather than the apples themselves, although there hasn't been enough research in this area to know for sure if the major source for native microbes comes from the apples or the equipment used in cider making . MTF thread on using large amounts of wine grapes or other fruit to inoculate wort. Spontaneous fermentation yields the greatest diversity of microbes in the wort, including many outside of Saccharomyces, Brettanomyces, Pediococcus and Lactobacillus  . The degree to which these diverse microbes present during spontaneous fermentation are active and influence the characteristics of the final product is unknown, but brewers report in some cases upwards of 100 distinct microbes present and 24 different microbes which are active and important in producing the character of their beers (~36 minutes in). Spontaneous fermentation may be conducted anywhere, though the microbes present in different environments and/or at different times of the year or from different cooling rates due to different ambient night time temperatures may be better or more poorly suited for producing a good tasting final product  (~39 minutes in, ~54 minutes in). In addition, many of the microbes active in commercial spontaneous fermentation derive from the brewery environment , which is a benefit that the average homebrewer likely does not have. This great range in the potential of spontaneous fermentation can produce some of the most complex beers in the world, but it can also produce undrinkable products. Some brewers may opt for the more controlled techniques of Mixed Fermentation to approach the sorts of characteristics found in spontaneously fermented beers. Mixed fermentation employs the controlled pitching of different lab sourced microbes or bottle dregs. These may be pitched all at once or staggered to control the final product. This greater degree of control can limit some of the risk of poor outcomes and can allow a brewer to better achieve the beer they want; however this approach cannot yield the same microbial diversity of spontaneously fermented beer. For this reason, homebrewers may need to decide what degree of risk they are willing to take and what sort of final product they are after to determine which technique is right for them. Many use a hybridized approach of the two, combining open cooling for spontaneous inoculation with pitching of labs cultures and bottle dregs. While this is technically not spontaneous fermentation and it may yield different results from truly spontaneously fermented beers, it can be a good balance of the benefits of spontaneous fermentation (collection of ambient microbes to express regional terroir and a greater diversity of microbes present) with benefits of mixed fermentation (some pre-screening and greater control in dominant microbes to help select for a final beer of the brewer's preference). Ultimately the brewer must decide which approach, or combination of the two approaches, is right for them with regard to the desired flavor and aroma profile, adherence to tradition, timeframe, and risk of bad beer. The Sour Hour podcast detailing spontaneous fermentation process with Rob and Jason from Allagash, Jean Van Roy from Cantillon, and Vinnie from Russian River. Lars Garshol's write up on the history of people reusing yeast as opposed to spontaneously fermenting. Caleb Buck's collected data on cooling rates, acidity from hopping rates, and other collected data over a multi-year, multi-batch experiment. The Sour Hour, Episode 11 with Rob and Jason from Allagash, Jean Van Roy from Cantillon, and Vinnie from Russian River. Jean Van Roy on The Brewing Network's Sunday Session. Jean Van Roy from Cantillon on Basic Brewing Radio. The Lambic Summit: Discussions of lambic with Jean Van Roy of Cantillon, Armand Debelder of 3 Fonteinen, and Frank Boon of Boon. Lambic.info page on lambic production. The Mad Fermentationist on spontaneous yeast starters. Anatomy of a Wild Ferment; Sui Generis Blog. "Thoughts on Spitaels and Van Kerrebroeck et al, 2015", by Dave Janssen on Hors Catégorie Blog - examines microbial and flavor compound evolution over time in bottles of Belgian lambic from Cantillon. Brandon Jones's notes from CBC 2016 talk on spontaneous fermentation. "Jester King 2016 SPON — Méthode Gueuze – Tasting and Interview" on Sour Beer Blog (includes details on process and blending). "Going Wild – Coolshipped Beers in the Home Brewery" by Bryan Heit; introduction to spontaneous fermentation with a simpler brewing process (not turbid mashing). ↑ Pierre Tilquin. Youtube interview. 09/16/2013. Retrieved 10/01/2018. ~4 minutes. ↑ Jean Van Roy. Youtube interview. 03/13/2014. Retrieved 10/01/2018. ~2:26. ↑ Méthode Traditionnelle standards. Retrieved 10/01/2018. ↑ The Mystery of Lambic Beer. Jacques De Keersmaecker. Aug 1996. Retrieved 05/05/2015. ↑ 5.00 5.01 5.02 5.03 5.04 5.05 5.06 5.07 5.08 5.09 5.10 5.11 5.12 5.13 Wort Substrate Consumption and Metabolite Production During Lambic Beer Fermentation and Maturation Explain the Successive Growth of Specific Bacterial and Yeast Species. Jonas De Roos, Peter Vandamme, and Luc De Vuyst. 2018. DOI: 10.3389/fmicb.2018.02763. ↑ "Spontaneous vs. Wild". Black Project website. 01/28/2015. Retrieved 12/26/2018. ↑ "Beatification". Russian River website. Retrieved 12/26/2018. ↑ De Garde Brewing website. Retrieved 12/26/2018. ↑ "Brewing With A Coolship: The Science and Art of Spontaneous Fermentation". Allagash Brewing Company website. Retrieved 12/26/2018. ↑ Various MTF members. Milk The Funk Facebook group thread on the wording of 'spontaneous fermentation'. 04/12/2018. ↑ Howat, James. Facebook live video stream. 12/23/2016. ~5:30 minutes in. ↑ Thread on Jester King Brewery Facebook thread. 01/16/2017. ↑ Sakamoto and Konings, 2003. Beer spoilage bacteria and hop resistance. ↑ "Fact of Fiction - Can Pathogens Survive in Beer? The RDWHAHB Edition". Bryan of Sui Generis Blog. 01/05/2017. Retrieved 01/16/2017. ↑ 34.0 34.1 Influence of Limnological Conditions on Clostridium Botulinum Type E Presence in Eastern Lake Erie Sediments (Great Lakes, USA). Alicia Pérez-Fuentetaja, Mark D. Clapsadl, Donald Einhouse, Paul R. Bowser, Rodman G. Getchell, W. Theodore Lee. 2006. ↑ "Henry's Law". Bouldess.com website. Retrieved 03/07/2017. 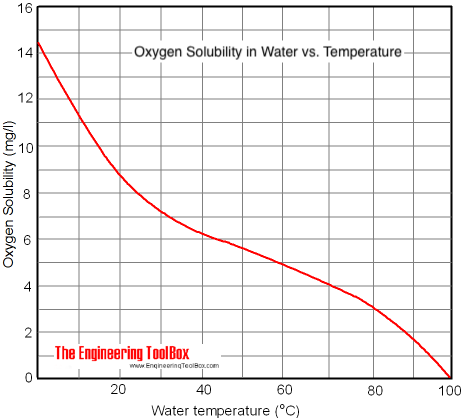 ↑ Graph of oxygen solubility in water at different temperatures. Engineering Toolbox website. Retrieved 03/07/2017. ↑ Bryan of Sui Generis blog. MTF discussion on dissolved oxygen in wort cooled in a coolship, and the accuracy of DO meters. 03/02/2017. ↑ Amaral, Justin. MTF discussion on dissolved oxygen in coolship wort. 03/07/2017. ↑ Coker, Ryan. MTF discussion on dissolved oxygen in wort cooled in a commercial coolship. 03/07/2017. ↑ "Storing Wort Runs the Risk of Botulism". Dr. Colby, Chris. Beer and Wine Journal blog. 04/17/2014. Retrieved 03/07/2017. ↑ Bryan Heit of Sui Generis Blog. MTF discussion on dissolved oxygen in wort cooled in a coolship. 03/07/2017. ↑ 43.0 43.1 "Episode 34- Sour Beer 102", Come and Brew It podcast. Interview with James Howat from Black Project Spontaneous Ales. 01/07/2016 (~40 minutes in). ↑ Conversation with Caleb Buck on MTF about spontaneous fermentation. 11/24/2015. ↑ Conversation on MTF with Dustin Carver on how long his spontaneous fermentation took to start. 12/14/2015. ↑ Conversation on MTF with Mark B. Fry on how long spontaneous fermentation took for him. 01/13/2016. ↑ Yakobson, Chad. Pure Culture Fermentation Characteristics of Brettanomyces Yeast Species and Their Use in the Brewing Industry. Pure Culture Fermentation Discussion. 2011. ↑ MTF post regarding mold growth in homebrew spontaneous fermentations. 03/06/2016. ↑ MTF post regarding limiting headspace to prevent mold growth. 10/19/2016. ↑ 60.0 60.1 60.2 60.3 60.4 MICROBIOLOGICAL ASPECTS OF SPONTANEOUS WORT FERMENTATION IN THE PRODUCTION OF LAMBIC AND GUEUZE. Van Oevelen et al., 1977. ↑ 61.0 61.1 61.2 The Microbial Diversity of Traditional Spontaneously Fermented Lambic Beer. Spitaels et al., 2014. DOI: https://doi.org/10.1371/journal.pone.0095384. ↑ 64.0 64.1 64.2 64.3 64.4 64.5 64.6 64.7 Microbial acidification, alcoholization, and aroma production during spontaneous lambic beer production. Jonas De Roos and Luc De Vuyst. 2018. DOI: 10.1002/jsfa.9291. ↑ 65.0 65.1 65.2 65.3 Chris Curtin. ASBC webinar: "Funky Fermentations". 12/12/2018. Retrieved 01/03/2019. ↑ Zach Taggart (using his wife's Facebook account). Milk The Funk Facebook group post on analysis of spontaneous fermentation at 42 North Brewing Co. 11/09/2018. ↑ Zach Taylor of Chorlton Brewing Co. "The Lab Work Begins". Spontanmanc blog. 08/01/2018. Retrieved 08/29/2018. ↑ Various MTF members. Milk the Funk - Collaboration Brew #3: Spontaneous. 05/01/2017. Retrieved 08/29/2018. ↑ Raf Soef, James Howat, Levi Funk. Milk The Funk Facebook thread on how long it takes for yeast to start fermenting in a spontaneous fermentation. 2017. ↑ MICROBIOLOGICAL ASPECTS OF SPONTANEOUS WORT FERMENTATION IN THE PRODUCTION OF LAMBIC AND GUEUZE. D. Van Oevelen M. Spaepen P. Timmermans H. Verachtert. 1977. DOI: https://doi.org/10.1002/j.2050-0416.1977.tb03825.x. ↑ Aroxa website. "Acetic Acid". Retrieved 11/19/2018. ↑ Ryan Fields. "Brewing Beer in America Inspired By the Belgian Lambic Tradition". 2018. ↑ Jacques De Keersmaecker. "The Mystery of Lambic Beer". Scientific American, Inc. 1996. ↑ Role of Pediococcus in winemaking. M.E. Wade, M.T. Strickland, J.P. Osborn, C.G. Edwards. 2018. DOI: https://doi.org/10.1111/ajgw.12366. ↑ The interior surfaces of wooden barrels are an additional microbial inoculation source for lambic beer production. J. De Roos, D. Van der Veken, L. De Vuyst. 2018. DOI: 10.1128/AEM.02226-18. ↑ James Howat. Milk The Funk thread on the source of Brettanomyces in lambic. 02/05/2018. ↑ Lauren Limbach. Craft Beer and Brewing Magazine Podcast. Episode 21. 02/16/2018. ↑ Andy Mitchell. Milk The Funk thread regarding homebrewed batch of spontaneously fermented beer with no Brettanomyces or LAB. 11/10/2017. ↑ Justin Amaral. Milk The Funk Facebook group discussion on inoculating wort with fruit. 06/12/2018. ↑ 83.0 83.1 Tariq Ahmed. Milk The Funk Facebook group discussion on inoculating wort with fruit. 06/14/2108.